Engr. 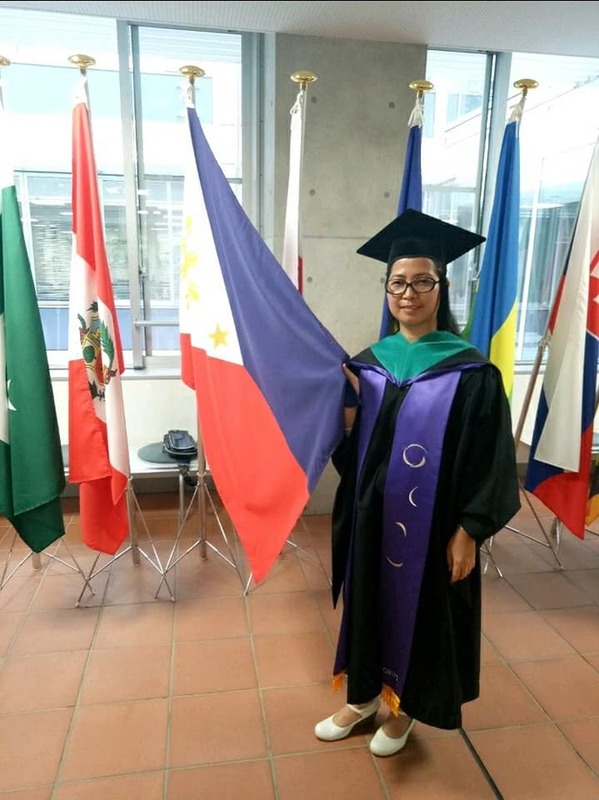 Rizalyn Centino Ilumin, Executive Secretary of Urdaneta City Campus and Civil Engineering Department Chairperson graduated Master of Disaster Management through a scholarship grant provided by CHED and Japan International Cooperation Agency (JICA) at National Graduate Institute for Policy Studies (GRIPS), Tokyo, Japan on September 14, 2019. Her decision to pursue her studies offshore rooted from a rekindled passion to deepen and widen her knowledge on Disaster Management and at the same time augment her knowledge in Earthquake engineering. Currently, she is teaching Earthquake Engineering subject to 5th year civil engineering students where she keeps an ardent desire to utilize the methods and disseminate information she learned to secure the safety of the students and employees of Pangasinan State University. During the course of time she had spent in Japan, Engr. Ilumin encountered some difficulties. Along with other learners, Engr. Ilumin visited Japan’s government-owned facilities and felt astonishment while observing how their technologies work. They had also gone by an on-going retrofitting of beams during their class that made her understand the behavior of structural members of a building.